Established in 1984 as a department, it was upgraded into Institution of Advanced Study in Education (IASE) in 1996 and was renamed University College of Education in 2005. The UCE offers M.Ed. (Master of Education), M.Phil. and Ph.D. Programmes in Education. It has state of art infrastructure such as Psychology Lab, Technology Lab, Computer Lab, Science Lab, Library, air-conditioned Conference Hall (with projector) and Seminar Hall. The college library has 5797 subject books and it subscribes to many Indian and foreign research journals. It is undertaking various in-service training programmes for the teachers and teacher educators of the university area to ensure quality education. The faculty have published 13 books and about 30 research articles in reputed journals. The faculty are specialized in Philosophy of Education, Educational Psychology, Teacher Education, Education Technology, Computer Education, Environmental Education, Elementary Education, Non-formal, Adult & Continuing Education, Population Education and Economics of Education and are pursuing research in these areas. 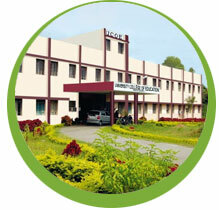 The college has successfully conducted the state level common entrance test Ed-CET for five years during 1991 – 2001.